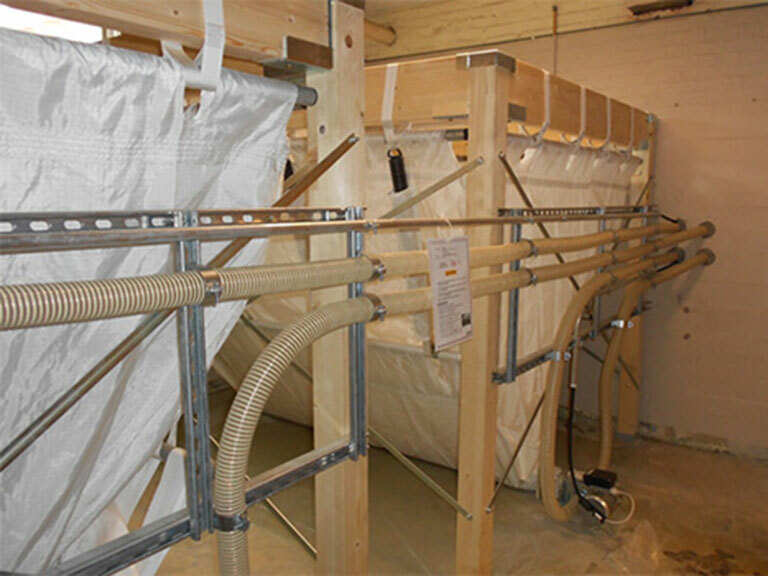 Looking for an alternative heating source to avoid the inconsistent rise in the price of oil? ABM Mechanical can design, install, repair and service Commercial Solid Fuel Heating Systems such as Central Heating, Hydronic or Radiant Systems fueled by wood, pellets or coal and including components such as bins, feeders, boilers, pumps, controls and piping. We specialize in new construction and renovation projects for commercial and industrial industries such as Hospital and Healthcare, College and University, Laboratory and Medical Research, Aquaculture, Retail, Multi-Unit Housing, Industrial and Government. 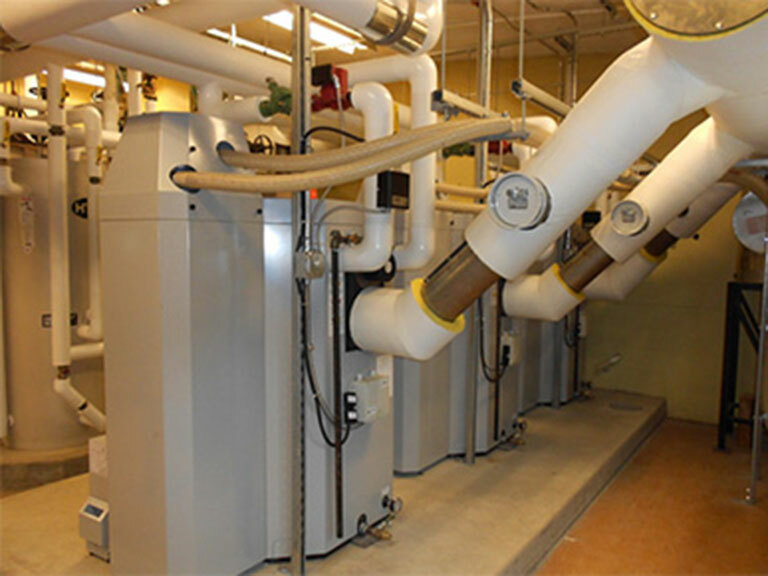 These alternative sources of heating and other mechanical systems may provide a much more competitive price when compared to oil or propane boilers. 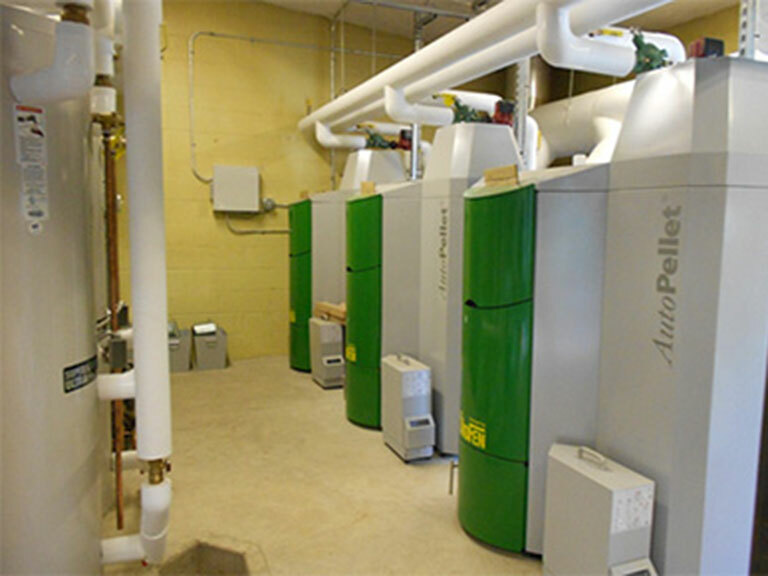 Pellet boilers can be used for hydronic or forced air systems with benefits of using a renewable source and reducing the emission of greenhouse gases. ABM Mechanical is capable of providing and installing several different heating options. At the start of the planning process or any design, ABM can assist with design or provide ideas and expertise on all types of solid fuel system options for your project. ABM Mechanical delivers services for wood chip furnaces, wood boilers, pellet boilers and coal boilers. ABM Mechanical realizes the importance of experience and training which is why we ensure our staff is properly trained on the newest equipment. We are a certified dealer for OkoFEN Pellet Boilers and have licensed professionals who are qualified to design, prepare, install and service your equipment.